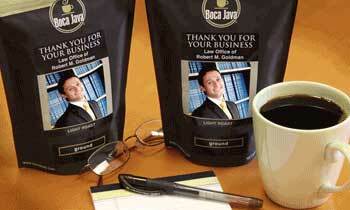 Now you can have your own personalized Boca Java coffee, with your own custom design! Follow the easy steps below and you are on your way to creating the most unique personal/corporate gift, party favor, or keepsake imaginable. As always, your coffee will only be roasted after you place the custom order, but it will arrive in your style! Are you looking for a unique gift idea for Christmas or Chanukah that you can personalize? 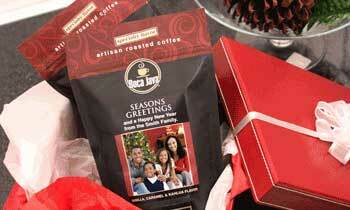 Personalized coffee from Boca Java is the perfect holiday gift idea allowing you to customize your very own holiday coffee blend including the name, size, flavor, grind type and the photo you want to see on the bag. This year, give the gift of personalized coffee to your friends and family and show off a little. Are you looking for the perfect wedding and party favors or for a personalized gift ideas for the groomsmen and bridesmaids? There's nothing more personal than a wedding and what better way to memorialize your special day than to give your wedding party guests a personalized coffee gift that you can customize. 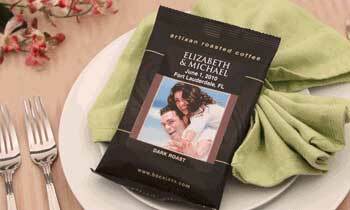 Personalized coffee gifts are great for weddings and party favors. 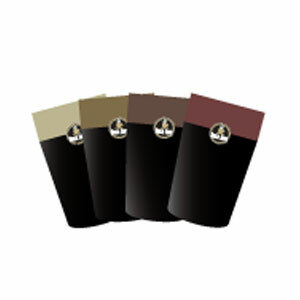 Are you looking for a private label coffee or private label gift idea for your business? 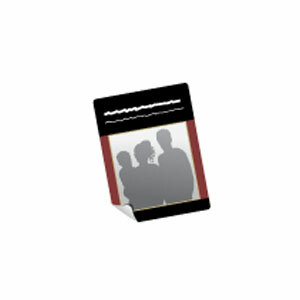 Are you tired of buying and handing out boring pens, buttons, magnets or mouse pads that represent your company's brand? It's time to change that. 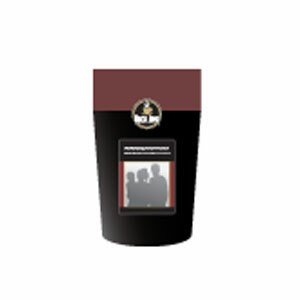 Everyone loves coffee and the best gift idea for employees and customers is a personalized coffee showing off your private label. Personalized coffee also makes for a perfect private label idea as a trade show giveaway. Are you planning for the blessed day when your son or daughter goes before friends and family and begins the path to adulthood? 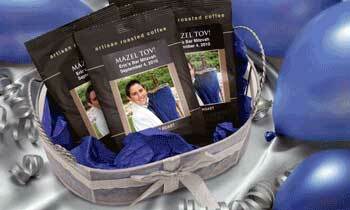 Do you need a bar mitzvah favor idea or personalized gift idea for Quinceanera party favors? Gourmet coffee that you can customize and label with your son or daughter's picture will bring a smile to everyone's face and they'll be talking about it for years. Personalizing Your Coffee is as Easy as 1-2-3! Choose 8oz or 2oz, roast or flavor, regular or decaf...the choice is yours! Design and name your coffee, add a message and insert your own photo. See a preview of what your personalized coffee will look like.